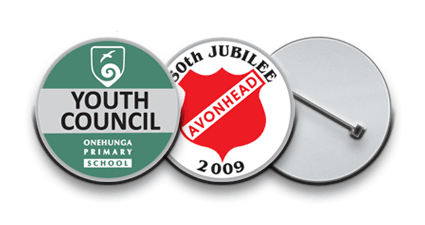 Our range of badges is very popular with schools throughout New Zealand. 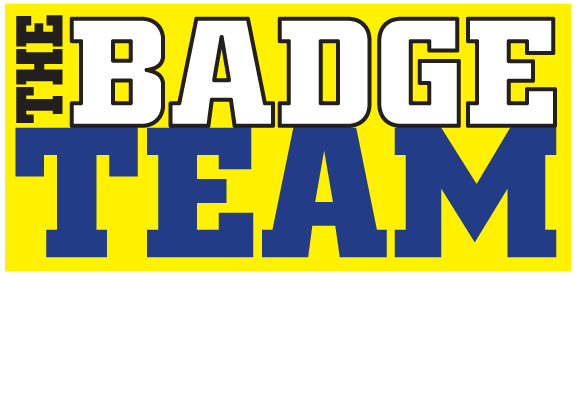 Join our ever growing list of schools by taking advantage of our friendly service, coupled with our low pricing and quick turnaround for your school ! To use for school titles in a trendy form or to recognise success or an anniversary. Printed on a strong silver metal base. Comes with fixed pin attachment only. 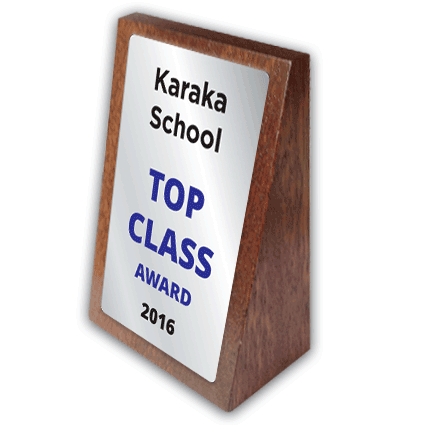 These too are commonly used as school titles, school councillors and as recognition of achievement. 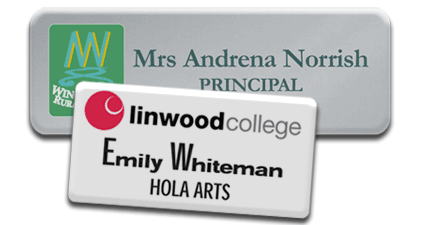 Just right for school staff name badges. 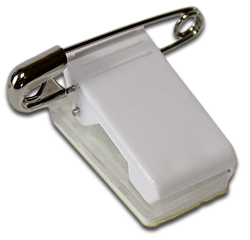 Makes staff easy to identify around the school or on field trips etc. An inexpensive mini trophy to keep when a larger trophy has to be returned - or used as a small award. Plastic face mounted on beautiful mahogany base. 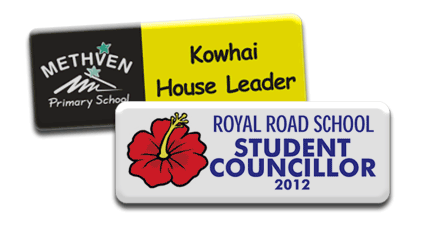 There is no minimum quantity, no set-up or artwork charge, making our badges very competitive. We pride ourselves on offering great turnaround times. 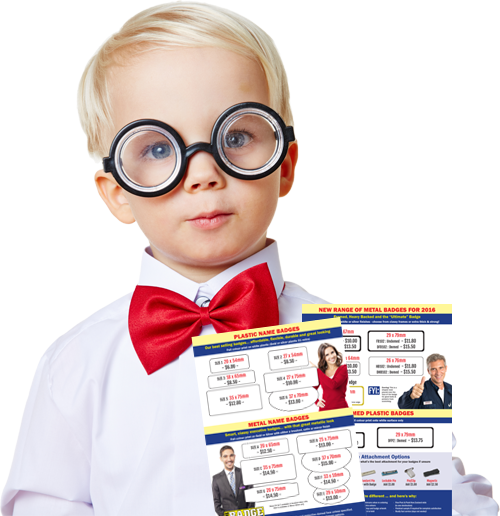 If you need your order in a rush let us know because we can help!